Liu Wen moves away from a nomadic fall, for a wardrobe of the more avant garde kind in the latest edition of Harper’s Bazaar Korea. Decked out in the Comme des Garçons autumn collection styled by Havana Laffitte, the Chinese model stars in Yelena Yemchuk’s Fashion Mime. Geisha girls in East Asian cultures all paint their faces snow-white. Dont create controversy where none is needed. Who knew “jumping” pictures can be so avant-garde?? I love Comme and Liu. This is such a great combination. Touch of 90’s grunge with modern aspects. Liu Wen always kills me. She has so many facets. Liu Wen = one of the best models out there. She enhances editorials. Liu Wen is great, but I’m not sure if I love the makeup/hair so much. It could have been done so much better. Here she looks more like she got caught in the rain. They really werent too concerned about your style when they shot this. oh very 90s for the present i like a lot. I am not sure if watching America’s next top model has ruined me in some way… all I can think is “beautiful set up but the face, pure drecatude. Can I see that you actually have muscles in your face? ever shot, in every shoot always the same BLAH look like you went to the doctor and had them botox every inch of you. SNORE” Some one splash some cold water on that models face, she is set up for perfection and ends up falling short by expressing nothing. The industry also wouldn’t touch most of the Top Model girls with a ten foot pole. Great clothes! 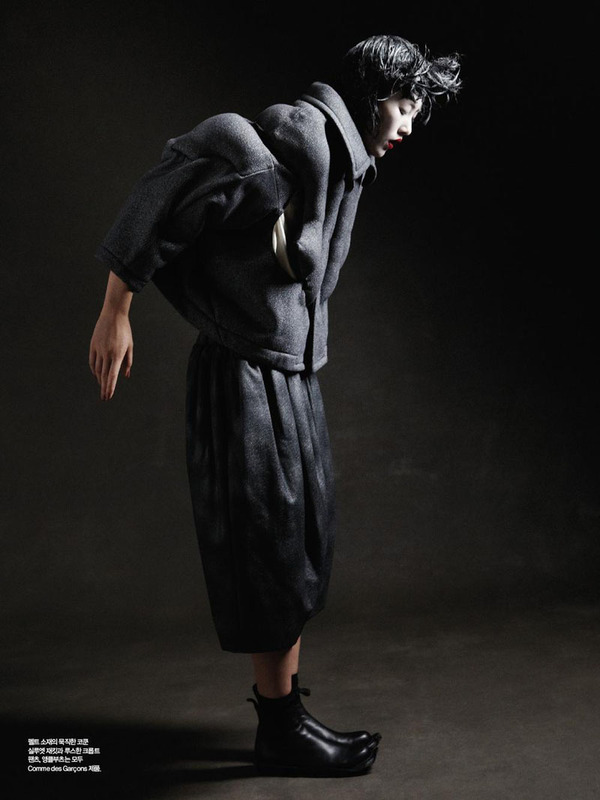 so Comme, so Yohji!